Is one of these your scenario? It’s really dark. The ISO is bumped up, the noise is screaming at you, but you REALLY want the shot. The Milky Way looks SO gorgeous, you want to take it home with you like a trophy, but when you shoot short enough exposures to prevent smears, mostly what you get is noise. You are surprised that you can faintly make out the Milky Way. 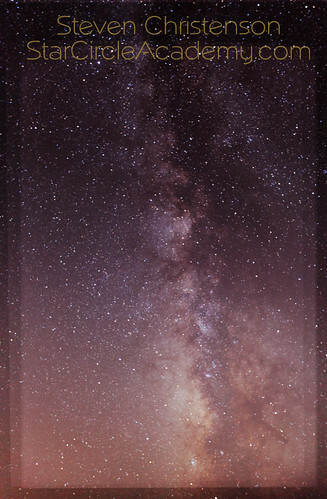 You know your buddies will be jealous if you can show them a photo of the Milky Way that you took from IN TOWN. They won’t believe you! You have a great star trail, but your foreground is not lit. The photo would sing if you could tease out that foreground – minus the noise, of course. But absent the fancy equipment, all you need is a wee bit of Photoshop skill to get a pretty compelling image. Less than 10 miles away from Palo Alto, California, with over 8 million households in a 50 mile radius I got the image you see below. I understand why you might not believe me. Is it the most compelling Milky Way you’ll ever see – definitely not. After much processing it’s still noisy (grainy) and contrast poor. We covered the processing technique in our Night Photography 150: Photo Manipulation I Webinar – among many other topics. Below is a 7 minute video describing how to do that simple astro photography processing. If you think a webinar on photo processing would be of interest, join our Interest List for this or other topics and you’ll be notified when we schedule the next webinar. You can influence the topics we choose to cover by making your comments here. 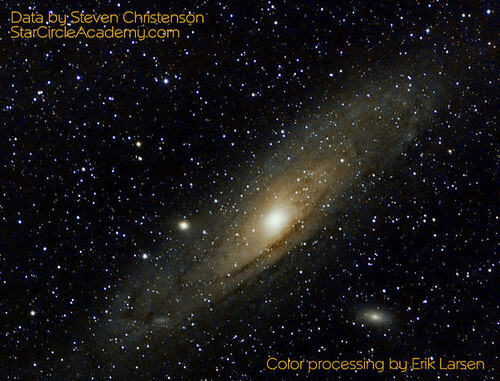 Simple Astro Photo Processing in Photoshop CS5 from Steven Christenson on Vimeo. NOTE: If the above says password required, enter scanp150 In the video, you’ll also learn how to constrain the healing tool, use curves, layers, and the history tool to undo inadvertant changes. ALSO NOTE: Advanced StackerPLUS has a built in averaging operation. You just feed it the images. It does NOT do auto alignment, however. 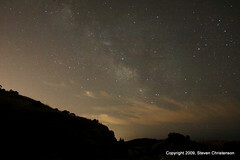 In our next installment, we will talk about how to get the Milky Way shots in the first place. Camera considerations, settings, tradeoffs. By the way, this image consists of a single sky shot and a multi-processed foreground using the technique described above. Click the image for further details. 12 Minute Star Trail using Advanced Stacker PLUS version14D from Steven Christenson on Vimeo. 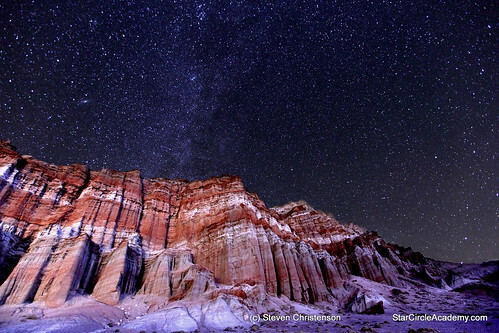 This entry was posted in Astrophotography, Creativity, Noise Reduction, Stacking and tagged additive stacking, alignment, astrophotography, auto-align, average stacking, layers, milky way, noise reduction, Photoshop, simple on June 20, 2012 by Steven Christenson.